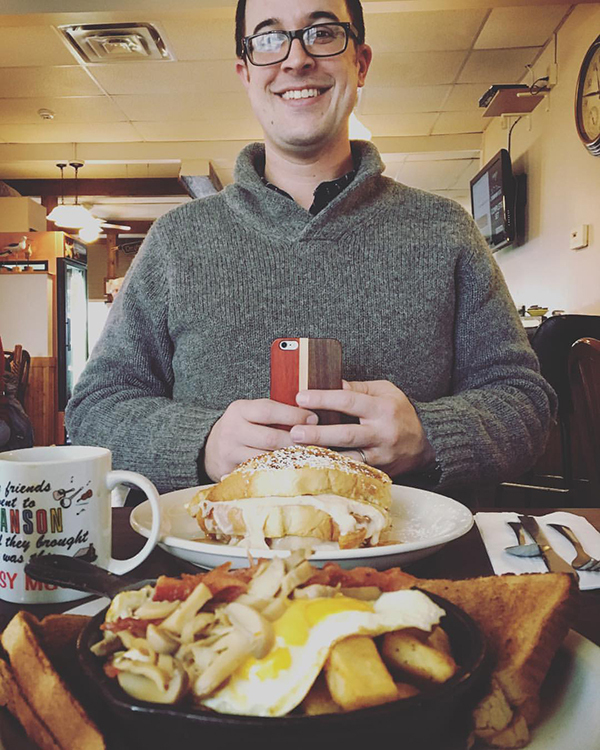 In the same Yelp newsletter where we learned about Shmegs, we read about a breakfast spot on the east side of the city. About 15 minutes away, in Webster, we went to check out Mama Lor's. We were not disapointed. The restaurant is cozy and they have a coffee pot at the door where you can help yourslef as soon as you come in. 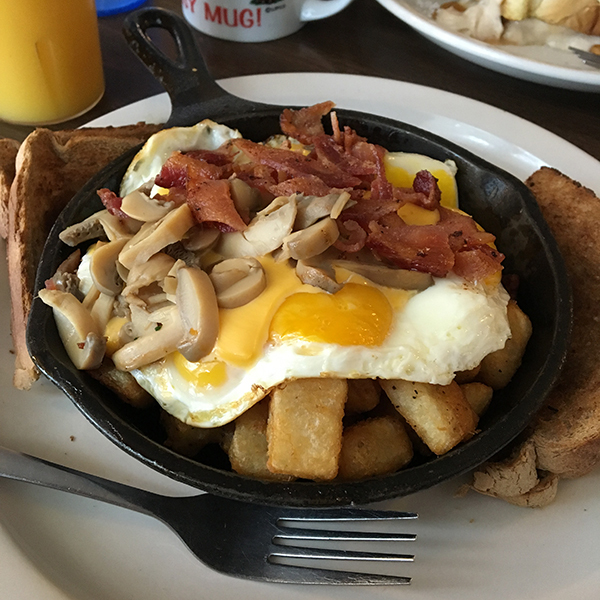 Look at this breakfast skillet! The people are super friendly too. 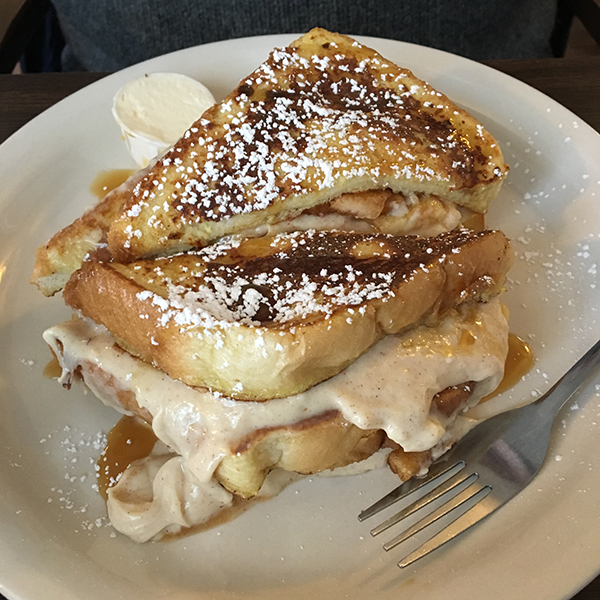 Aaron got the apple pie french toast special. I could have eat the sauce with a spoon. We will be back again!